On Jan. 15, 1919, a gang of reactionary German military officers, who were forerunners to the Nazi Storm Troopers of the 1930s, murdered these two heroes, making them martyrs of the world communist movement. The military had the go-ahead from the right-wing Social Democratic Party running the German government. Because Rosa Luxemburg made theoretical and organizational contributions to the Marxist movement at the highest level, it is vital for communists to examine her political development in the final 75 days of her life as she tried to mobilize and organize the working class under pre-revolutionary conditions in Germany. Another German Communist leader, Clara Zetkin, wrote a book titled “Rosa Luxemburg’s Views on the Russian Revolution” in 1922 (available since 2017 in English) that presents exactly the information needed to clarify Luxemburg’s positions at that time. In the book’s fourth chapter especially, Zetkin presents, with ample quotes, how Luxemburg quickly grasped what the workers, sailors and soldiers needed to do if there was to be any possibility of victory. It is important to clarify this question today because forces who wish to weaken the class struggle purposely distort Luxemburg’s creative Marxist thinking. These forces misuse her honest positions to attack the Russian Communist leaders who did succeed in seizing and holding power. This distortion of Luxemburg’s theory disorients present-day political activists away from using organized force — while the capitalist class continues to wields the force of the militarist state against the workers and oppressed peoples. If today’s bourgeois and social democratic politicians revile the Russian revolutionary leader V.I. Lenin more than they do Luxemburg, it is only because he led a workers’ revolution that succeeded and stayed in power for over 70 years. As hostile as the ruling classes were then and are now toward Rosa Luxemburg, after murdering her, they are happy to exploit any differences, real or imaginary, that existed between her and the Bolshevik leader. 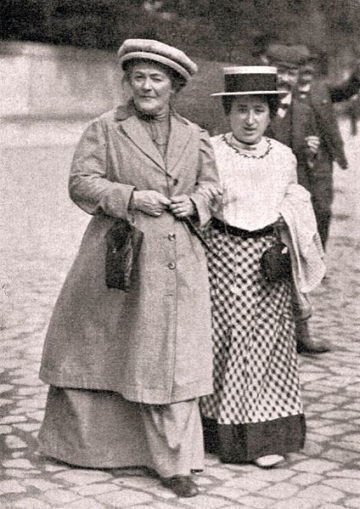 Clara Zetkin (left) with Rosa Luxemburg in 1910. In Chapter 4 of her book, Zetkin shows how, under the pressure of a near revolutionary situation, Rosa Luxemburg fought for positions that were the equivalent under German conditions to those taken by Lenin and the Bolsheviks under Russian conditions. On the question of intransigence against imperialism and against the capitalist state, Luxemburg and Lenin, two revolutionary leaders, were in complete agreement. 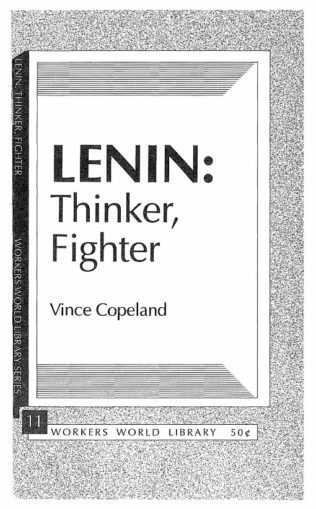 In November 1918 the objective political conditions in Germany were similar to those that provoked the socialist revolution in Russia in 1917. The armed forces were in turmoil, led by revolutionary sailors after a disastrous war; the monarchy collapsed. A socialist revolution seemed possible. Individual revolutionary leaders — like Luxemburg, Liebknecht and Zetkin — existed. What was lacking was a revolutionary workers party trained in combat. The Social Democratic Party of Germany, which at the beginning of World War I in 1914 had over a million members, had divided into three major political tendencies, with their differences sharpening during World War I. The largest tendency, on the right, was called the Majority Social Democrats, with a leadership who voted funds for the imperialist war and joined the government during the war, betraying the workers. When the Kaiser abdicated on Nov. 9, 1918, the MSD took over the reins of the government. The capitalist parties counted on the MSD to tame the workers’ movement. Smaller but still massive was the centrist Independent Social Democrats (USPD), who opposed the war in words but stayed inside the pro-imperialist Social Democratic Party until 1917. Many USPD militants played an active role in the mass rebellion that deposed the Kaiser, but their leaders made no attempt to mobilize the masses for a socialist revolution. Instead they looked to negotiate a compromise with the Majority Social Democrats and join the government, apparently hoping to win socialism through parliamentary means. The third group was the much smaller, leftist Spartacist League. Its leaders — Luxemburg, Liebknecht, Zetkin, among them — heroically promoted using mass opposition to the war to keep pushing the class struggle forward. This group existed inside the centrist USPD as a political tendency until they founded the Communist Party of Germany (KPD) on Dec. 30, 1918. After she and Liebknecht were released from prison by the Nov. 9 mass military revolt, Luxemburg took over responsibilities for “Rote Fahne” (Red Flag), the Spartacist League newspaper — the only mass media available for revolutionaries. At the time there were hundreds of thousands of rebellious workers, soldiers and sailors in the streets daily in Berlin, though not everywhere in Germany was as “hot” as in the capital. Even in Berlin, there was no structure for a revolutionary struggle. It’s true that the state apparatus — the police and much of the armed forces — disappeared instead of protecting the monarchy. However, a pro-monarchy grouping of army officers, the Freikorps, began to attack the revolutionary workers. Meanwhile the right-wing social democrats, the MSD, ran the government, sometimes with, sometimes without the Independents. The MSD had control of most of the trade unions. Even in the Workers and Soldiers Councils, which were the nearest thing to organs of workers’ power like the soviets in Russia, the MSD or the Independents had the most influence. The Spartacist League was too new, small and weak to act on its own. The leadership’s goal was to break the Independents away from the MSD, to win a majority for the revolutionary forces in the Workers and Soldiers Councils, and to use those councils as the basis of a new state power representing the working class. Zetkin shows that, from the very beginning as editor of Rote Fahne, not only did Luxemburg write the lead editorials, she reviewed every word in the revolutionary tribune. In September 1918, Luxemburg, while in prison, had written a pamphlet differing with the Russian communists, calling on them to convoke the popularly elected Constituent Assembly. As this body was dominated by bourgeois, anti-revolutionary parties, the Soviets pushed it aside. 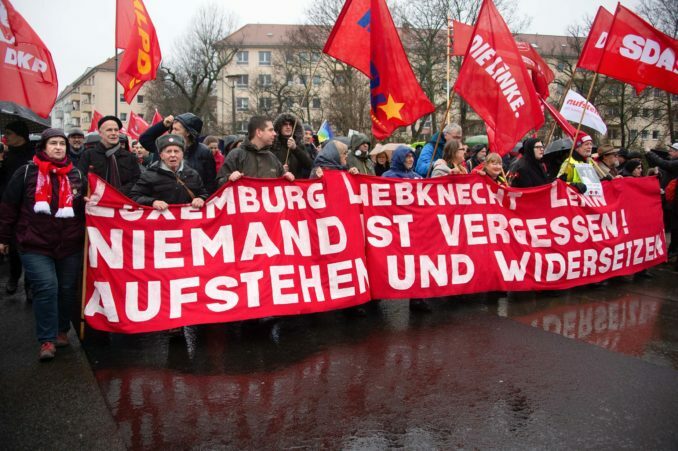 But by December in a Germany boiling with working-class revolt, Luxemburg was agitating for rule by the councils and not by the elected parliament-like body called the National Assembly, dominated by the MSD. Rote Fahne attacked the MSD for its hypocrisy and supported this bold action of the masses that, in a small way, challenged the bourgeois monopoly of propaganda. In her “Spartacist Program,” Luxemburg wrote: “The fight for socialism is the mightiest civil war ever seen in world history, and the proletarian revolution must procure the necessary tools for this civil war; it must learn to use them — to struggle and to win. No matter how many times present-day political militants read the chapter of Luxemburg’s revolutionary life work, they can’t change the outcome of her death and subsequent events in Germany. They can, however, do their best to learn why Lenin, whatever his differences with Luxemburg, categorized her as an “eagle” who soared above the other working-class leaders of her epoch. Quotes are from Chapter 4 of “Rosa Luxemburg’s Views on the Russian Revolution” by Clara Zetkin, Red Star Publishers, 1917. Available from online vendors; chapter 4 available at tinyurl.com/ybbve6yn.